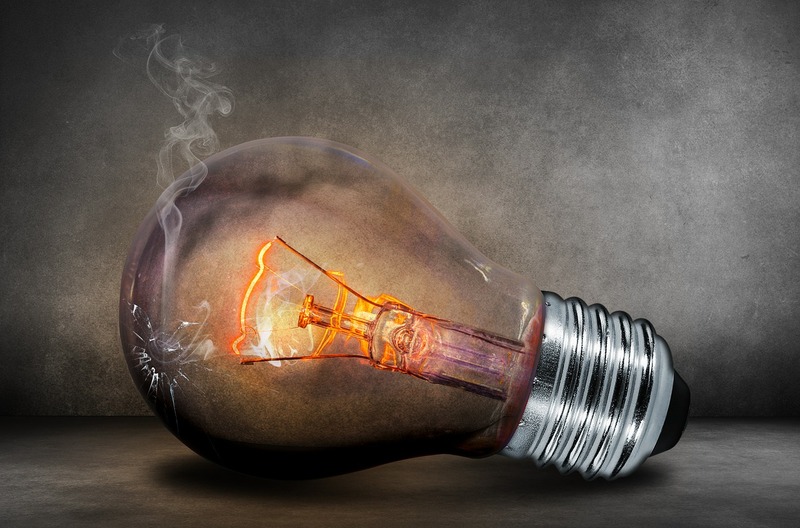 With energy prices in South Africa on the rise and loadshedding showing no signs of abating, more and more Capetonians are considering how to save electricity and reduce their energy bills. So, where do you start if you want to make eco-friendly changes to your home? Many people are put off at thought of spending tens of thousands on expensive equipment, the disruption of an installation or are concerned that the rewards won’t be worth the effort. We know that this doesn’t have to be the case though, so read on for our simple, energy saving changes you can make at home to save your hard-earned cash. You can block the majority of these but be mindful that some areas do need ventilation in order to remain safe and function well – such as rooms with open fires or flames, and rooms like the bathroom where a lot of moisture is produced. Don’t block or seal anything designed to intentionally ventilate your home like extractor fans or vents. Any good hardware store stocks draught excluding equipment such as draught proofing strips for window and door frames or silicone filler for gaps around pipework. You can also bring in a handyman to carry out this work and ensure your home is thoroughly draught proof. Good insulation can keep your house 5° warmer in winter and 10° cooler in the summer. This means you use heaters and air conditioning far less, reducing energy consumption year-round. Once you’ve insulated your loft, you’ll be reaping the rewards for years to come – as you can expect it to last at least 40 years. If you have a well-ventilated loft with no existing damp issues, then you can tackle this job yourself. If you’re unsure if your loft is damp or well-ventilated, then be sure to get expert advice from a handyman before you start. LEDs are the most energy-efficient choice on the market by far. What that means for you is really simple – they cost you far less per year to run. An LED will cost R25.60 maximum to run for a year, a CFL can cost R61.60 and an incandescent can run to R255.30. LEDs are known to be relatively costly, but right now the cost per globe is more affordable than ever – so it’s a great time to make the switch. In addition to this, your spend does go further with LED globes, as they have an average lifespan of 30,000 hours compared with just 1,200 hours for a standard incandescent globe. In real terms, this means that to give you 30,000 hours of light you’d need just 1 LED globe instead of 25 incandescents. LED creates a more pleasant light than a CFL – which you will associate with a more blue-toned, sterile kind of light. LED feels and looks more natural, and will lend a wonderful ambient feel to your lighting. Also consider LED for outside and security lighting – look for products such as LED path lights, porch lights and step lights for outdoor use. Use an electrician to ensure you make the right choices for your home, lighting preferences and lifestyle – and of course, to be sure of safe installation. Turn the temperature down to around 60°. Reducing the set temperature by 10° can reduce energy usage by more than 5%. Switch off the electricity circuit at the mains, undo the cover on the electrical element of the geyser, and then turn down the thermostat using a screw driver. Insulate the geyser using a thermal blanket so once the geyser has heated your water, it retains the heat for far longer – meaning your money goes much further. If you decide to do this job yourself then ensure you wrap and secure it properly, and check back in a few days to make sure it hasn’t slipped. We also recommend that you insulate your hot water pipes to increase the amount of energy you’re saving, avoiding heat being lost through the pipe system. Use pipe lagging to do the job – it’s a cheap product and available in most hardware stores. A geyser that is correctly wrapped with the pipes lagged loses just 1,68kWh/day, compared with 2,3kWh for a geyser with no blanket or lagging. That’s boosting your energy efficiency by 26%. A timer allows you to control the amount of time your geyser is on for, and at what time of day. Setting your geyser for 2 hours in the morning and 2 hours in the evening should be enough to provide ample hot water for the average family – and if you find this isn’t sufficient you can always adjust the settings. The timer will need to be installed on your distribution board and so you’ll need a qualified electrician to fit this for you. If you’re not sure where to start, or would like professional advice on how you can save electricity and reduce your energy bills then call Handyman Homes today on 071 319 2831, or send us your questions online.